PLM software is most efficient and cost-effective when it's been designed for its intended environment. So, we've optimized PDXpert product lifecycle management software to meet the specific needs of growing companies. Devoting time to the purchase process We move at your pace. You decide when you're ready to try our software, what application support you want, and when you're ready to buy. We don't sell, we provide advice. We have no commissioned salespeople, only experienced technical professionals dedicated solely to your satisfaction. Limited IT resources PDXpert PLM software is designed for fast self-installation using scalable database, a simple application server, and client software. The server will automatically detect out-of-date clients, and can download updated installers to client workstations. No web server, no database server configuration, no hassle. Deciding on the right technical solution Our free, fully-functional evaluation software lets you verify that PDXpert meets your needs. 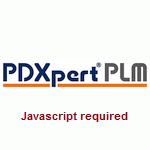 Your evaluation period is always long enough to ensure that you and your colleagues are comfortable with managing and operating PDXpert PLM software. Importing product data from MRP, spreadsheets and other sources Avoid the expense of hiring database specialists by using PDXpert's bulk import tool for part & document records, bills of materials, qualified supplier parts and file attachments. You can import your data during the evaluation period to fully test the system using your own product data. If you prefer, we can also provide complete data migration services for you, usually without an on-site visit and at very competitive rates. No time or budget for user training PDXpert software's simple user interface supports self-exploration through data hints on forms; extensive context-sensitive help; administrator-defined defaults; Google-like free-form item search; drag-and-drop BOM design; spell-checking; and an emphasis on productivity-enhancing error prevention rather than the usual software error messages. And, to get a feel for just how simple PLM software can be, view the PDXpert part, BOM, file and engineering change tutorials, which demonstrate the procedures for creating and managing a basic product. Estimating user licenses You don't have to guess: just use our evaluation software to decide who needs a full-function or just a read-only account. There are no premium prices for system administrators or change approvers, so you can freely assign (and revise) access permissions to meet your needs. Getting the best price Published prices and discounts encourage comparisons with our competitors, and ensure you know exactly what you'll pay for software licenses and on-going support. Capital or operational budget constraints Our economical perpetual license lets you decide whether to continue maintenance, support and updates. A subscription license gives you the affordability of hosted PLM, but with better performance and without off-site risk. Configuring the software You can start with our pre-populated database or implement your own design. As part of your software support, we'll give you advice on best practices and real-world trade-offs. Ensuring a wise purchase decision We're so confident in your satisfaction with PDXpert PLM software that we offer a completely free, fully-functional on-site evaluation. You'll know our software meets your needs before you make a purchase decision. And we'll be happy to extend the evaluation period to ensure your entire team is comfortable with PDXpert software. Download PDXpert PLM software to see the full benefits of a simple, flexible, and secure product lifecycle management solution.